Happy Labor Day! It’s time for my monthly goal check-in. I watched 18 episodes of Chinese TV and 15 episodes of American TV. Great! I finished 夫妻那些事 and will be looking for a new TV series to follow. I have now watched three full seasons of Chinese TV since last Autumn: 裸婚时代，幸福三颗星 and now 夫妻那些事. I’ve also started listen to occasional podcasts from various websites like ChinesePod, ChineseClass101, CSL Pod and Visual Mandarin. I walk to the university every working day and those 20 minutes are a good way to catch up with the podcasts. I only wrote one blog post in Chinese this month. I’ve been lacking motivation to write in Chinese here on my blog as well on my writing course. If you have any suggestions or ideas what to write to my Mandarin Monday, please leave a comment! I found a great translated book that fits my level: 公关辣妹的恋爱札记. I’m currently on page 198 so I read almost 200 pages in Chinese this month! I really enjoy reading this book and it feels great to be able to read in Chinese. I mean actual books that are meant for adult native readers. That’s kind of cool! I haven’t really been using Skritter and my goal to Skritter 15 minutes a day feels like a lot right now. I get so easily bored with things and I need a change in order to keep studying fun. Instead I’ve been learning vocabulary with flashcard app made by trainchinese. They have two ways to use the flashcards and I’ve been using the more relaxed version. But I got a feeling that the Skritter app will be ready sooner than later (that’s what I hope) and will absolutely go back to my 15 minutes goal when it launches. I’m sure the app will give a new and fresh boost to my vocabulary studying. I hope to get back to the days when I was new to Skritter and it felt like play! I posted one video of me speaking in Mandarin. Thank you for the feedback! I’ve got confirmation from a police officer and from my teacher, that tones are my biggest problem in speaking. I’ve been trying different methods to overcome this problem and will write about it in more detail soon. I’ve had brief exchanges with strangers in Chinese this month, only a few, but I think I’m on my way to a more talkative Chinese way of life. 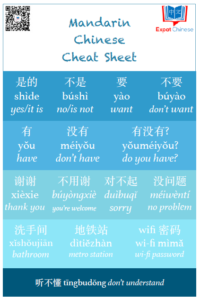 I live in China so I should use all the opportunities I have to practice my spoken Chinese! So are Chinese people polite or not? As you can see my blog got a new comment system! Now it’s even easier to leave comments and especially to reply to others’. Please have a try! I’ll approve comments with link and images by hand so don’t worry if you don’t see your comment rigt away :) Other comments will be published immediately. Thanks friend! I’m sure that everyone has that one big passion in their lives, but it just varies at what point it becomes clear.